Yesterday I had my first non U2 day all year. 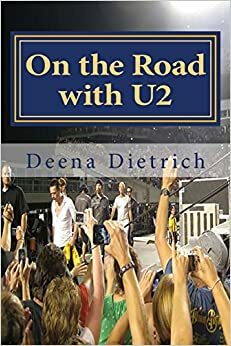 Since the beginning of this year, all of my updates have been about U2 and all of my blog posts have been about U2 at On the Road with U2. But not yesterday. 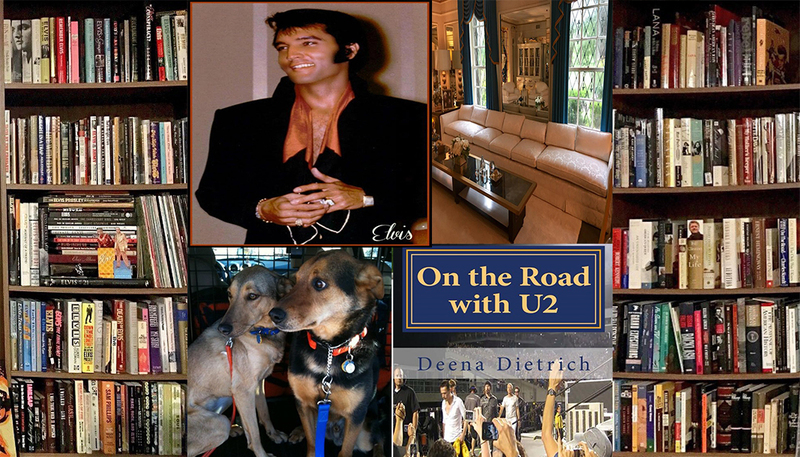 Yesterday I listened to Elvis all day and didn’t post one thing on Twitter or Facebook about U2. Yesterday I didn’t have power. A bad thunderstorm (and luckily not a tornado) knocked out the power at my house just before 11pm Tuesday night and didn’t come back on until about 5pm Wednesday.I couldn’t stand being home all day without power. It was too quiet and it was damp and rainy outside, so I couldn’t really go outside to enjoy the day. So I decided to get my oil changed, since my car needs a check up before the big U2 road trip this summer. I called to make an appointment, but they were busy until 2pm and told me to just come in then. It was 10:30am, so I had four hours to kill. I took a shower by candlelight and then headed off to Graceland, since I have an annual pass that expires in July. Graceland was fantastic! I hadn’t been since January for Elvis’ birthday celebration. It wasn’t crowded, and I got to spent a lot of time in my favorite part of the mansion – the foyer/living room area. I also got to see the new exhibit that opened up in March in Sincerely Elvis. It was the Newseum that was in DC for the past year or so. It was the best exhibit they have ever had in Sincerely Elvis. I had lunch at the Silver Chrome Diner – mashed potatoes, green beans, corn bread, and sweet tea. It was just about 1:30, so I headed over to the Saturn dealership – or what I thought was the Saturn dealership. As I was driving down Covington Pike, I saw the building that I used to take my Saturn too was now a Saab dealership. I knew Saturn had went out of business, but I had been there since then. Anyway, the Chevy dealership is now handling the Saturns. So I got there just before 2 and there were no other cars there. I had my coupon for free maintenance for a year, but I hadn’t printed it out. I thought showing them on my phone would suffice – I was wrong. And I couldn’t print it out on their computer. So I left and will make an appointment next week. I arrived home around 3 and there was still no power. I was so frustrated and tired and didn’t really feel like going out but didn’t want to stay home either. So I decided to go to the movies. I had no idea what was playing, but The Conspirator at Studio on the Square looked very interesting. It was lovely because there were only about 4 other people there, including Congressman Steve Cohen – I’m pretty sure that was him sitting in front of me. I was so engrossed in the movie that I let out a little yell at a dramatic scene at the end. It was a fantastic historical drama about the people that ‘conspired’ to assassinate President Lincoln. It was directed by Robert Redford and starring Robin Wright, James McAvoy, Evan Rachel Wood, and Kevin Kline. When I got home from the movie, my power was on and I was the happiest girl in the world! I ran around turning on all my lights. It was so fabulous! I immediately fixed dinner and charged my phone because it was storming again. But so far so good, I’ve had power for 24 hours straight. Let’s see what happens next week during the storms of the Beale Street Music Festival.